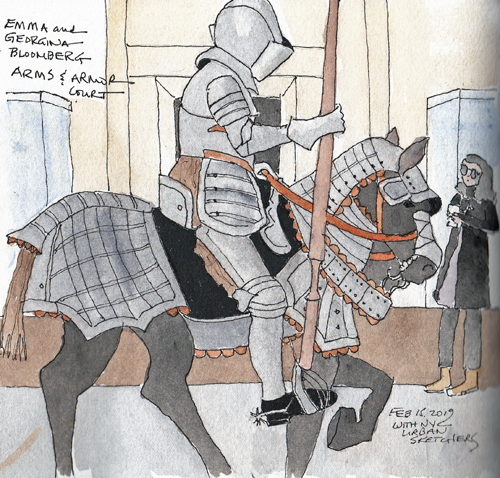 NYC Urban Sketchers met at the Metropolitan Museum Art and Armor Galleries last Saturday. 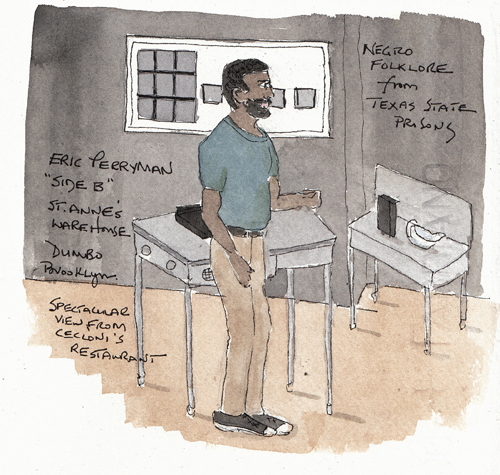 Sketchers were free to go anywhere in the Museum, but many of us went to draw armor. It was a first for me! I used pencil to draw, then found a spot where I could add ink and the orange color before I forgot these details. I finished the painting when I got home. 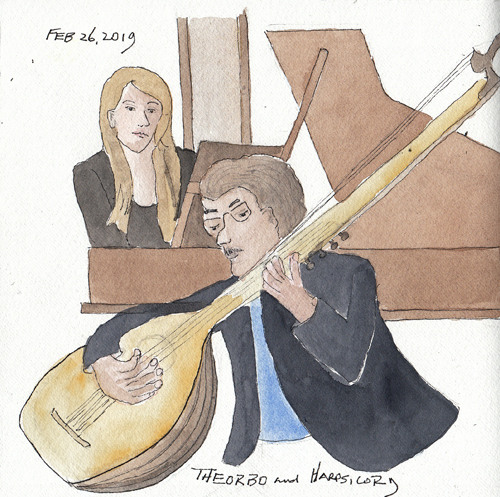 After lunch in the Met cafeteria with the group, I went to the American Wing to draw for the afternoon session - which was bright and sunny on this winter day. 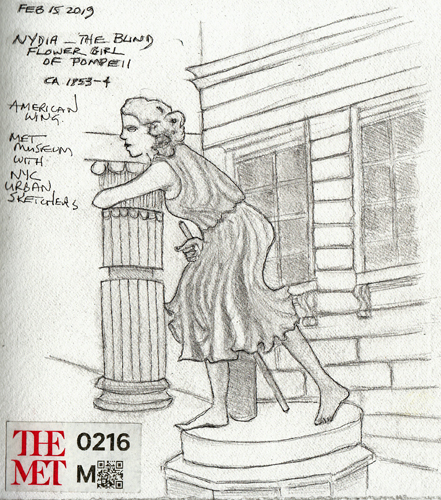 This is Nydia the Blind Flower Girl of Pompeii. I chose her because the draping in marble was wonderful and I wanted to see how well I could draw it. 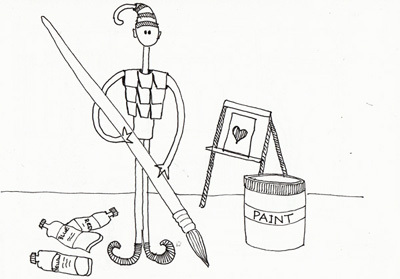 Over 30 members stayed until 3 to share their drawings. Great day. 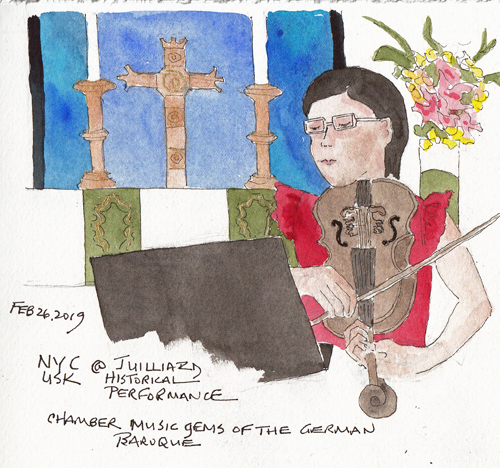 Saturday at the Metropolitan Museum of Art with the Urban Sketchers: It was the perfect day to sketch indoors in New York City and we started the morning in the American Wing, even though it was partially closed in preparation of a later event. 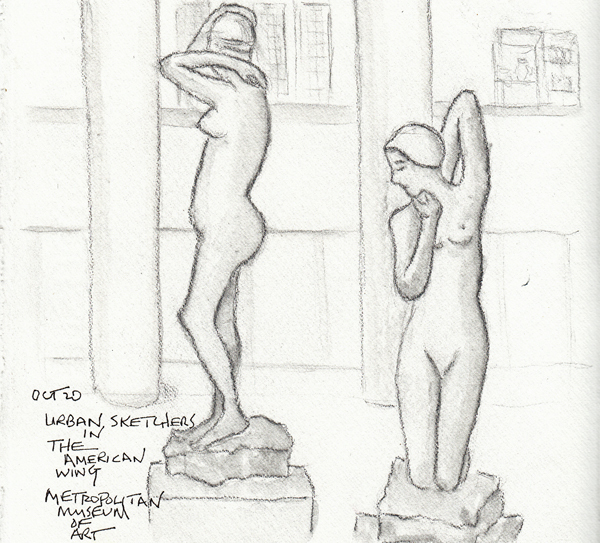 I sketched two of the sculptures. 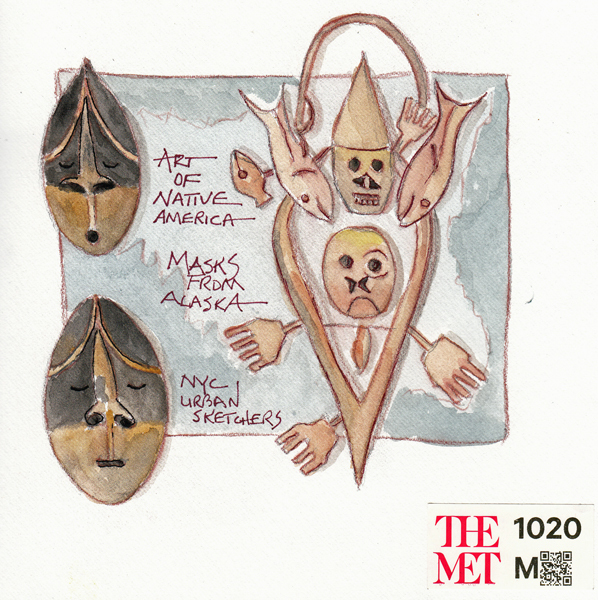 I also went to see the exhibit "Art of the Native Americans" and sketched a few masks that were made in Alaska between 1870 and 1900.